In an interview on “Breitbart News Radio” today, shortly before Attorney General Jeff Sessions announced that the Trump administration would be rescinding the DACA program that provides deportation relief to some undocumented immigrants brought to the country as children, King discussed a tweet that he had sent this morning stating that deported DACA recipients “will make great ‘Peace Corp’ volunteers in home countries,” an idea that he also discussed in an op-ed in March. If these are their best and brightest—some of them are—just give them to these people that advertise DACA and what if their words are right? Send them back home again, it will have far more impact than you’ll get out of Peace Corps volunteers. 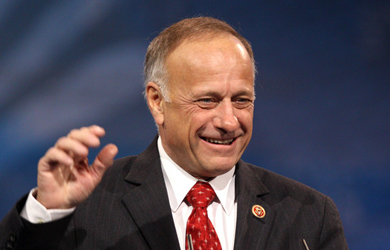 Later in the interview, King argued that legal immigration is a “natural filtration system” that has already brought the best people from other countries to the U.S. 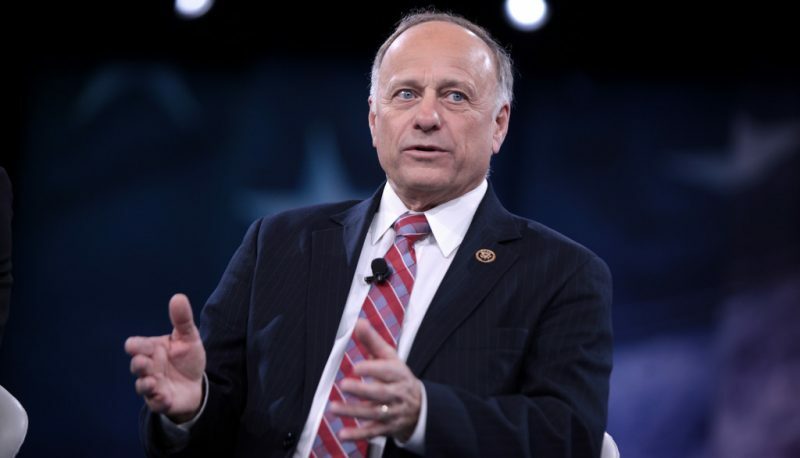 He also returned to his infamous “cantaloupe calves” remark, saying that “most of these guys that are carrying these packs [across the border] that range from 65 pounds up to 90 pounds or so, most of these guys that are carrying this, they’re younger than 18 years old” and may lie to get DACA status.